Within a 10-kilometre distance of downtown Ragland, lastminute.co.nz offers a number of accommodations. 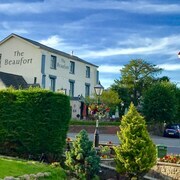 Ragland isn't famed as being hotel-central, however, the The Beaufort Arms Coaching Inn & Brasserie is close to the CBD and is sure to satisfy most punters. 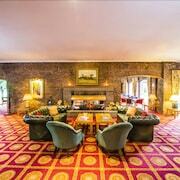 You could also check out the Glen-yr-afon House Hotel as well as the Llansantffraed Court Hotel. 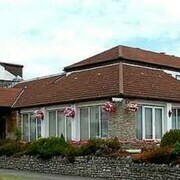 The Glen-yr-afon House Hotel is 8 kilometres from the heart of Ragland. The Llansantffraed Court Hotel is 7 kilometres away. 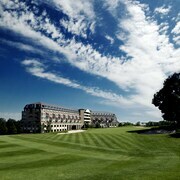 The Celtic Manor Resort, as well as the The Angel Hotel Abergavenny, are other alternative accommodation options around Ragland. It's well known that Australians know how to relax, so consider extending your stay and check out the Tintern Abbey and Chepstow Castle, in Chepstow, 14 kilometres to the southeast of Ragland. 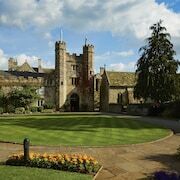 Some of our recommended Chepstow accommodation options are the Best Western Royal George Hotel and The Beaufort Hotel. Or, you could consider staying in Newport, 20 kilometres to the south of Ragland, where you can pick from the Holiday Inn NEWPORT and Hilton Newport. The Tredegar House and Newport Transporter Bridge are some of the most popular sites to check out in Newport. Australians are known internationally for their love of sport, so why not visit Liberty Stadium? Find Liberty Stadium 75 kilometres to the west of Ragland. 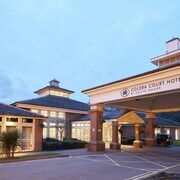 Book a hotel near the action at the Swansea Marriott Hotel or the Village Hotel Swansea. 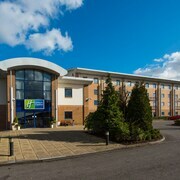 Travellers planning on flying via Bristol International Airport can book a bed at the Redhill House Bristol Airport or the Holiday Inn Bristol Airport, both of which are a short taxi ride away.